Motorcycle Advocacy: AMA call to action to protect motorcycles from E15 fuel. | I JUST WANT 2 RIDE!! Motorcycle Advocacy: AMA call to action to protect motorcycles from E15 fuel. I am sure you have seen a lot of information flying back and forth on the proposed EPA rules about increasing ethanol percentages in gasoline and the impact on motorcycles. 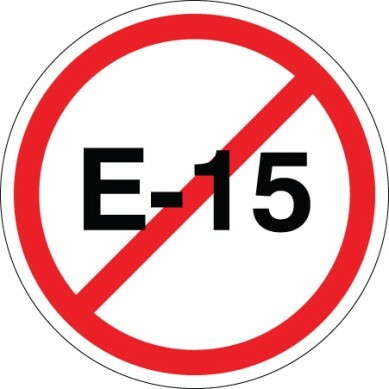 The long story short is that the AMA, major manufacturers and a lot of other folks truly believe that E15 will damage motorcycle engines. The AMA and others have been working in congress to try and stop the EPA E15 mandate but the EPA is not listening. To that end there is a new bill proposed by U.S. Reps. Bob Goodlatte (R-Va.) and Peter Welch’s (D-Vt.) H.R. 704, the RFS Reform Act of 2015. “The bipartisan bill would amend the Renewable Fuel Standard to recognize market conditions and realities. It will also prohibit the U.S. Environmental Protection Agency from allowing the introduction into the marketplace of gasoline blends with more than 10 percent of ethanol by volume. If this bill becomes law then E15 will not allowed. Of course that is a long shot as it will have to pass the house then the senate then go the president…. But you can help!! The AMA is asking us to contact our representatives and senators and is providing us with pre-written statements to do so. Please check out this link if you are interested in more information or you want to send a message to your politician. Not motorcycle releated, but important to me.